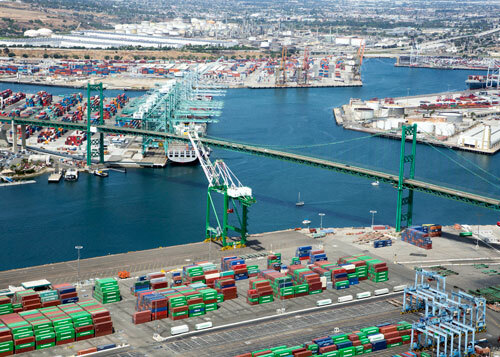 The Port of Los Angeles is a non taxpayer-supported department of the City of Los Angeles, with its revenues generated from fees for shipping services and leasing of facilities. The Port’s financial affairs are overseen and managed by its Chief Financial Officer and the Port's Finance Group. Primary responsibilities include overall planning, managing and reporting of the Port’s financial transactions, including the performance of general accounting activities; development and implementation of the Port’s annual budget; issuance of the Port’s annual financial statements, single audits and bond disclosures; and performing financial analysis, strategy and performance measurement. The Port currently holds long-term debt ratings of AA/Aa2/AA from Standard & Poor’s, Moody’s, and Fitch Investor Services -- the highest credit ratings of any non-tax-supported seaport in the United States.